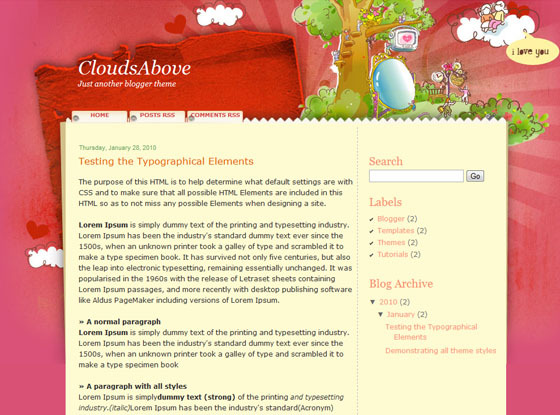 Clouds above is a nice blogger theme that has a colorful cloudy background and this theme is suitable for Kids blogs. pls read the readme.txt contained in the zip file. how to post to my blog?